2 Bedroom Flat For Sale in Middlesbrough for Offers in excess of £155,000. CHAIN FREE Neutrally decorated, this well presented spacious second floor apartment offers spacious and light-filled rooms throughout. With two double bedrooms, one with en-suite, this beautiful apartment has been well maintained throughout recent years and come complete with fitted kitchen, bathroom and en-suite. 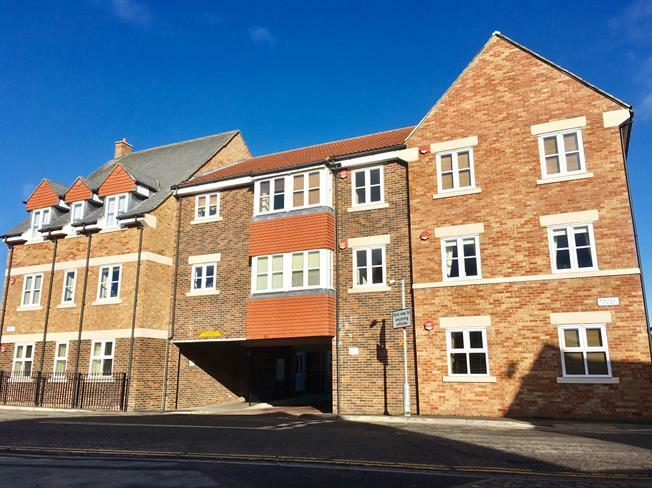 With private parking, the apartment is situated within the popular Balliol Court just a short distance from the popular High Street of Stokesley and its many amenities. Spacious hallway with doors to most rooms. With exceptionally large storage cupboard ideal for all necessary essentials. Well designed, with wall and base units providing maximum storage. With built-in appliances. Spacious family bathroom with WC, hand wash basin, bath with overhead shower unit. Impressive double door storage cupboard.